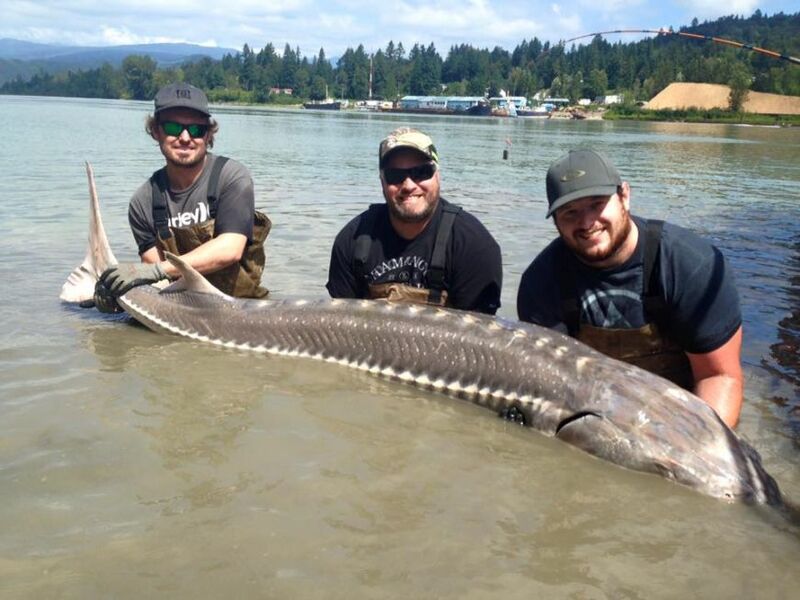 Vancouver sturgeon fishing charter reports from the Vancouver Sport Fishing Center. 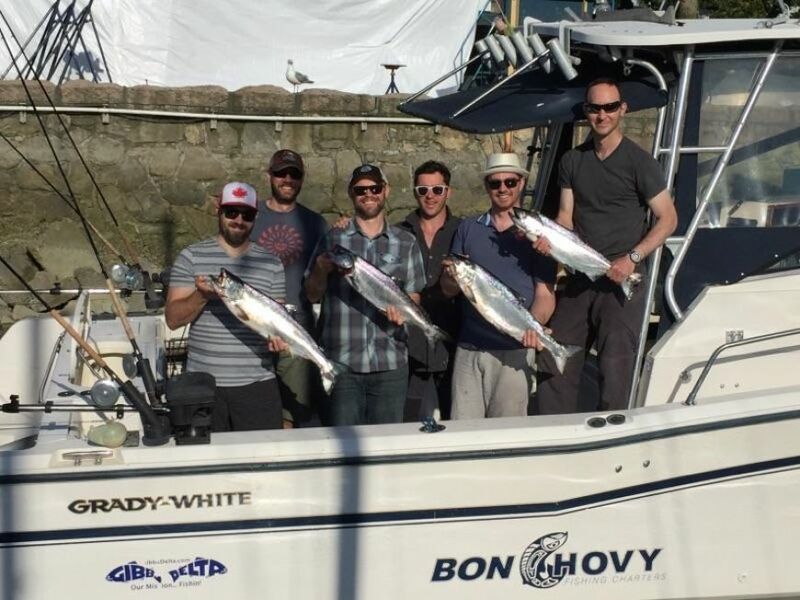 Over the last week, our best fishing has been on the far side of Georgia Strait. 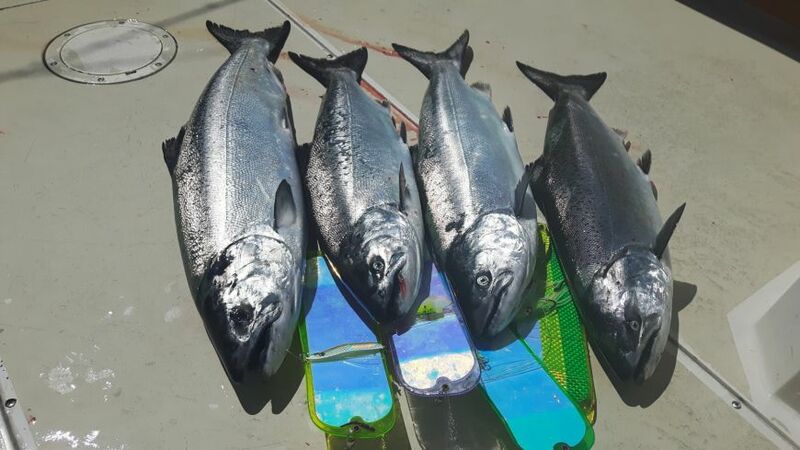 We have had some productive full day charters to the eastern shoreline of Gabriola Island when the winds have cooperated. 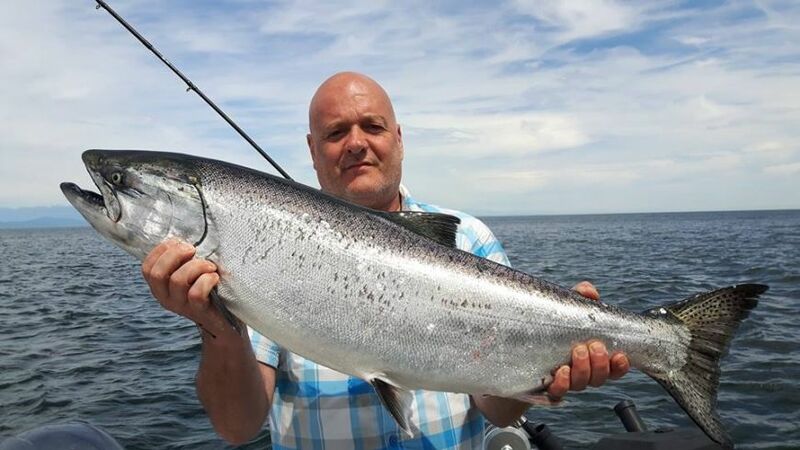 Locally, the fishing has been scratchy with the odd legal and a few undersized fish being hooked on our half day trips. 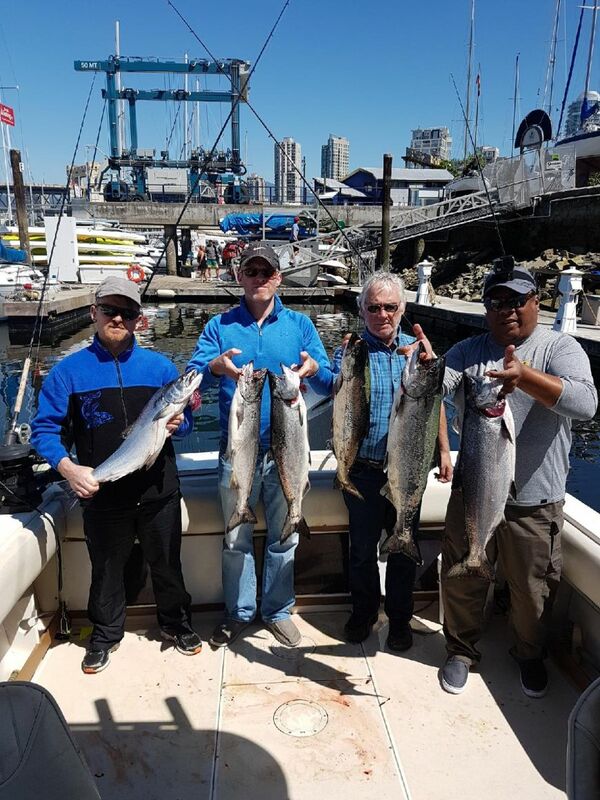 This should change very soon though as our West Vancouver fishery for coho, pink and chinook salmon will perk up any day and provide good opportunity on our half day trips. 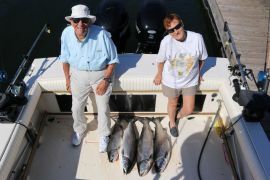 Our best success on our full day trips to the Gulf Island’s have been fishing close to the bottom in 140 to 200 feet of water. We have been focusing our efforts near the entrance to Silva Bay and up the Bluffs towards Entrance Island. The fish seem to be keying in on small herring so we have been running hootchies, smaller G Force and Silver Horde spoons and Skinny G’s. 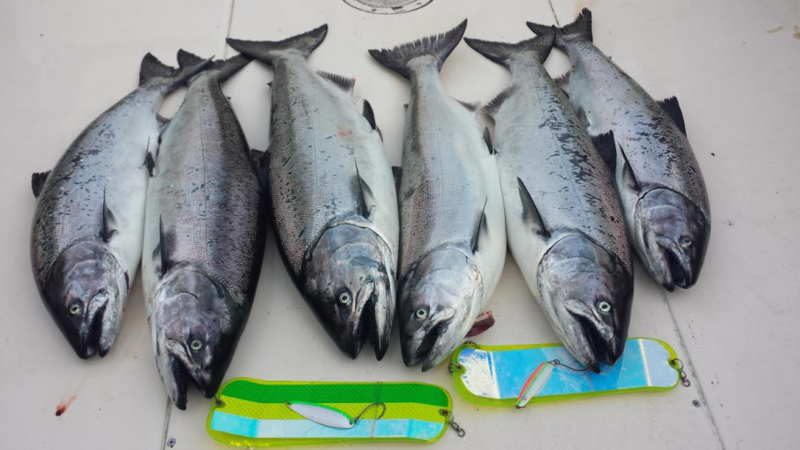 The Gulf Island’s will continue to produce chinook depending on the day for the next couple months. 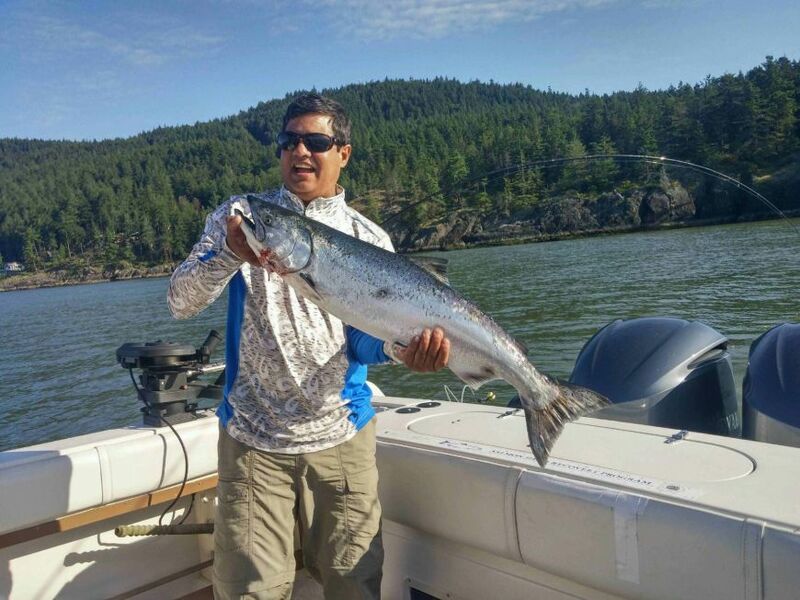 Gulf Island trips require a 10 hour charter and good weather. 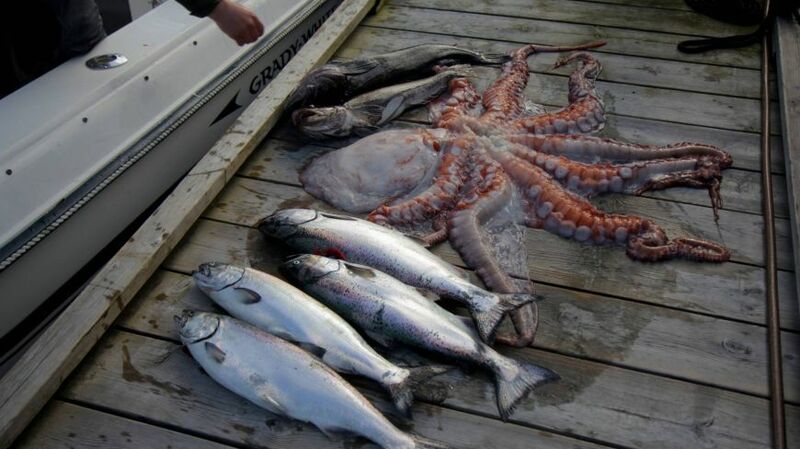 In local Vancouver waters, there is the odd fish coming out of Vancouver Harbour, Cowan Point, Cape Roger Curtis and Hole in the Wall. Most days you really have to work for them, but there has been some nice fish around. Check out “Pinky and the Whale” ! A short film by www.coribiefieldwalker.com where we spent the day casting Gibbs Delta Minnows and Blizzards for pink salmon in early August 2015! 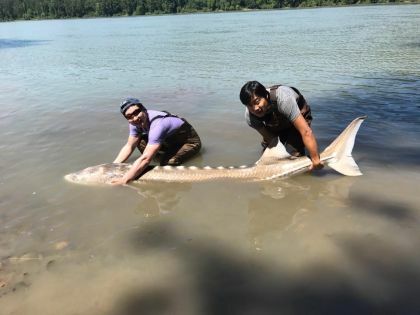 The Fraser River is now starting to recede and we have had a couple successful sturgeon fishing trips this week. As the river continues to drop, fishing should only get better! 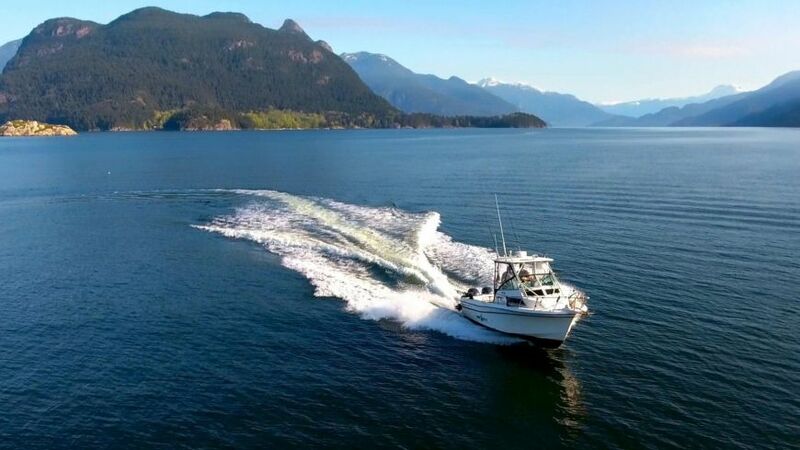 Give us a call to get out on the water.. Summer is finally here! 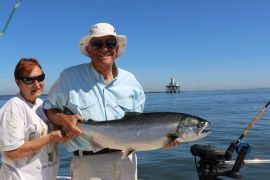 The last couple weeks have continued to provide some very good fishing over on the eastern shoreline of the Gulf Island’s. 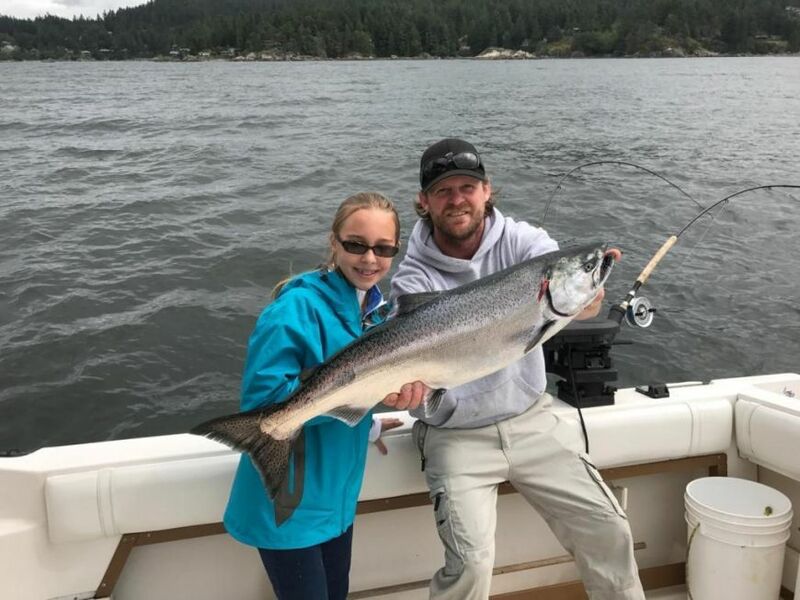 The fishing is not as crazy as it was in the last 10 days of April and the first week of May, but there definitely have been some periods of good, often expolosive activity. There have been some good pockets of fish on the Vancouver side as well depending on the day, tides, and weather. We have been sticking to spoons and hootchies so far this spring. 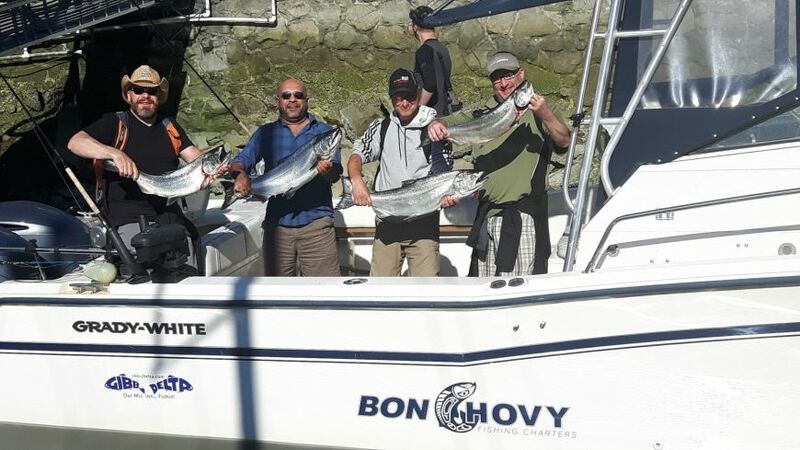 We are getting the odd fish on anchovies, but Skinny G’s have been out producing bait on the Vancouver Side. 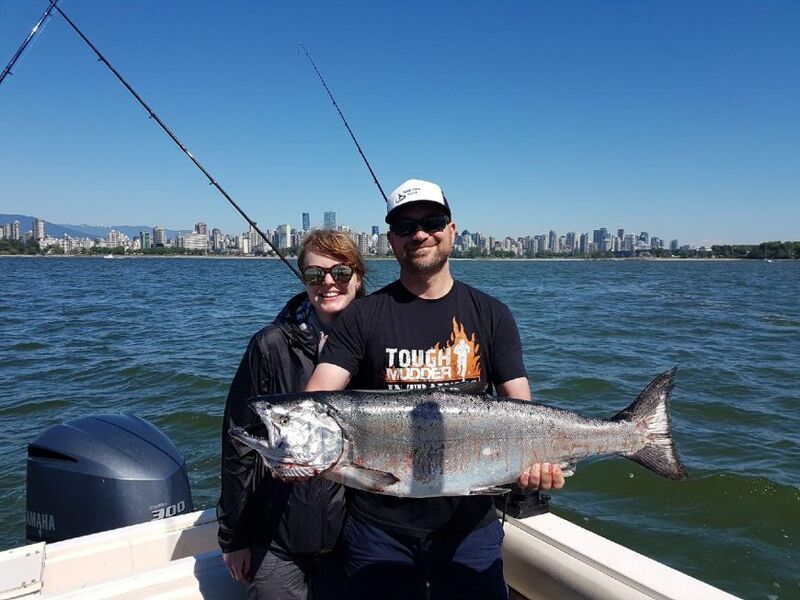 The Outfitter, Bon Chovy and the new Nickel and Green Skinny G’s have been our go to lures in Vancouver waters. Over on the Gulf Island side, we have been running a mix of spoons and hootchies. Our favourite spoons have been the Silver Horde Irish Cream and Kitchen Sink, G Force Trailhead and Bon Chovy and the same Skinny G’s as the Vancouver sides. We have been running a lot of hootchies too, especially in the strong currents. Yamashita spacklebacks in green and chartruese and a basic glow have been very effective as usual. 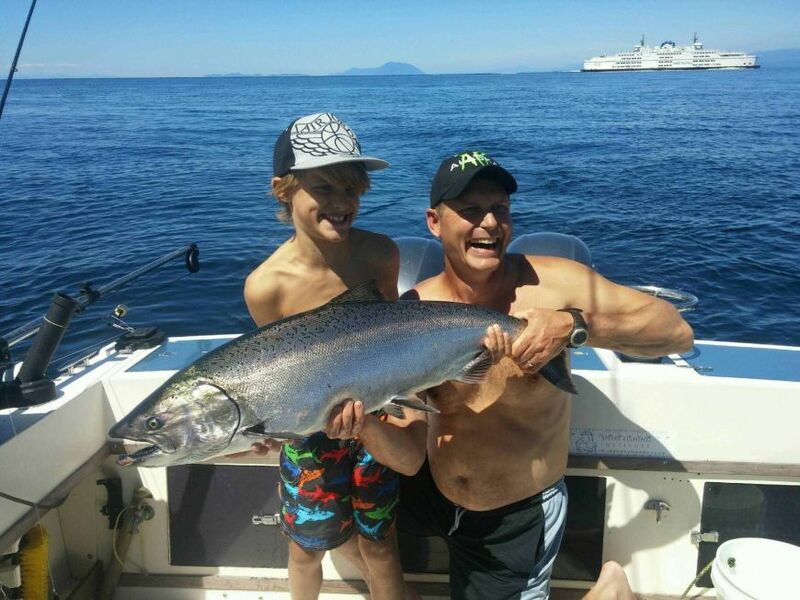 If you are looking to get out on the water, we are recommending full day trips right now if you have the time! This gives us the option to run over to the Gulf Island’s if the fishing and weather conditions permit! It is looking like it is going to be a productive spring and early summer season! It definately feels like fall now! 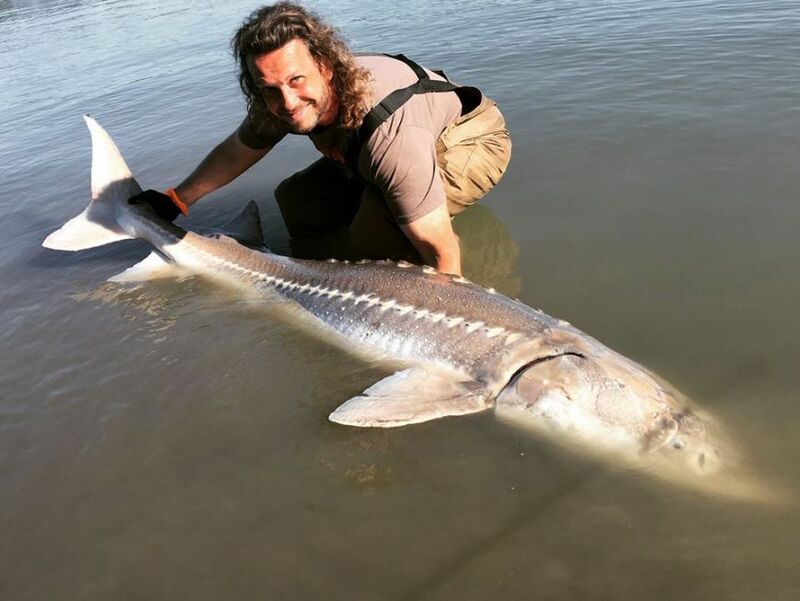 Sturgeon fishing has been solid and will contuinue to produce fish for the next 2 months. 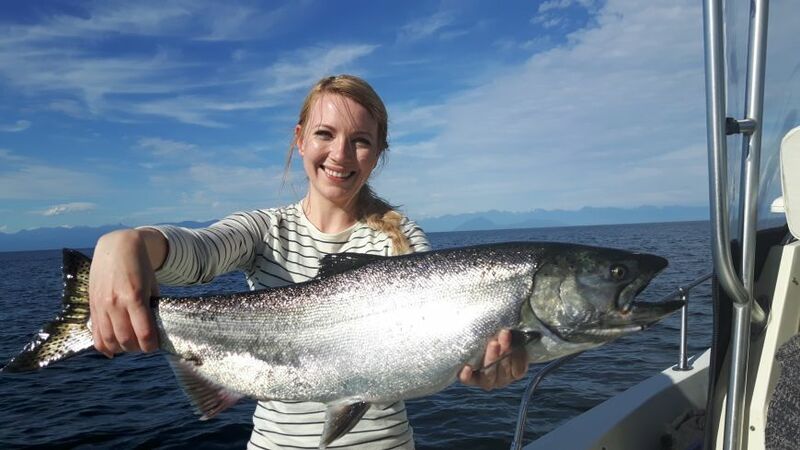 We are coming towards the end of our fall salmon season and it has not dissappinted. We have had some great days on the water with a few frustrating ones mixed in. 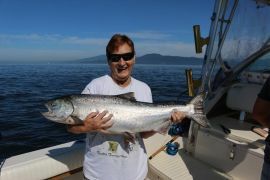 We do have some opportunity for coho and chum off of the Fraser mouth for another 2 weeks or so. 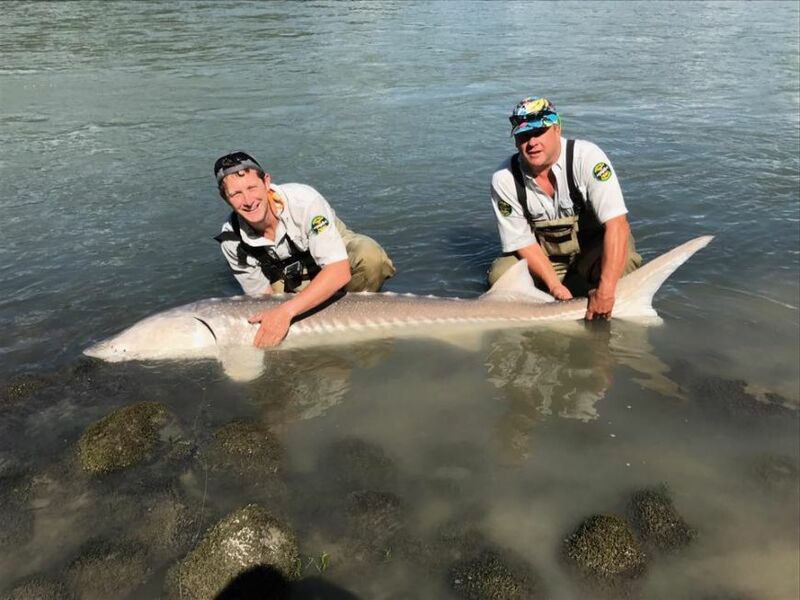 The Fraser river sturgeon fishery is one of Vancouver’s most consistent fisheries from July-November. 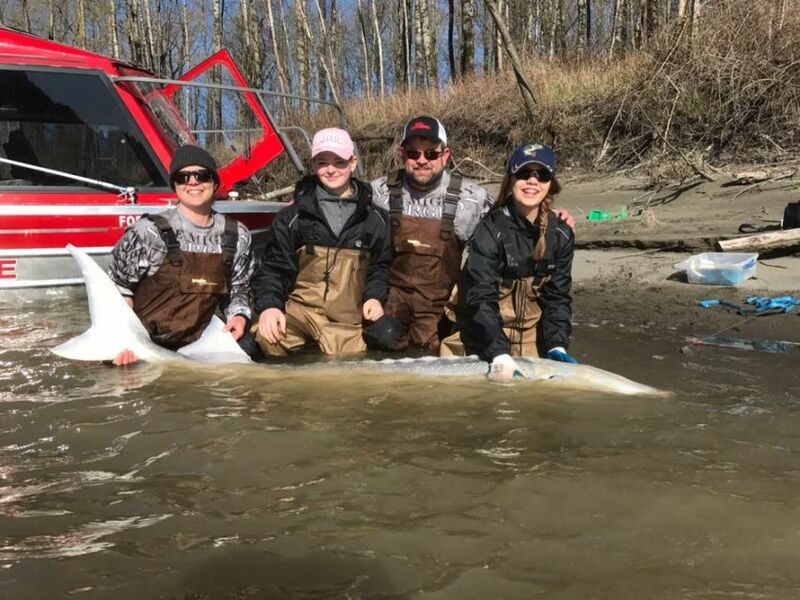 We have had a great start but things should really start to pick up now that salmon are in all of the Fraser river tributaries. These fish will be heavily feeding and packing on the pounds for the cold winter ahead. Salmon parts and roe are your best bet for the remainder of the season. 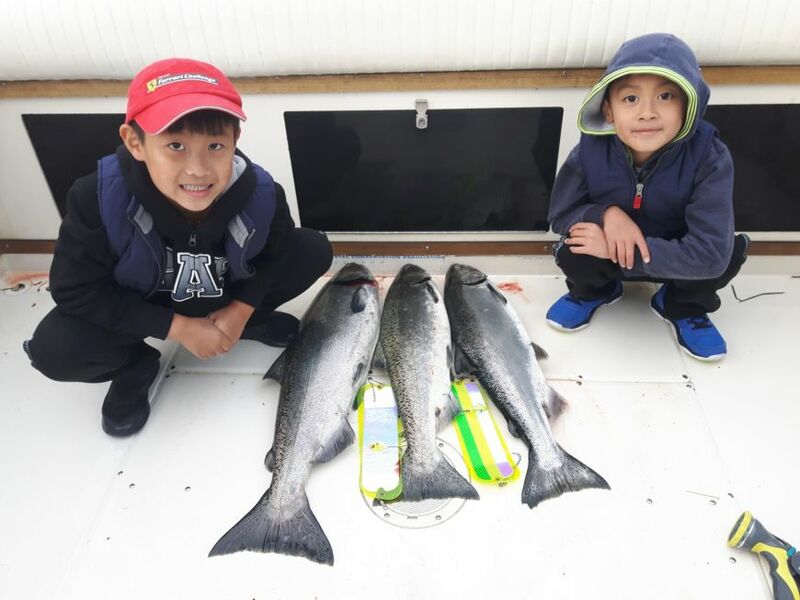 Salmon Fishing is almost at the end of its fall season. 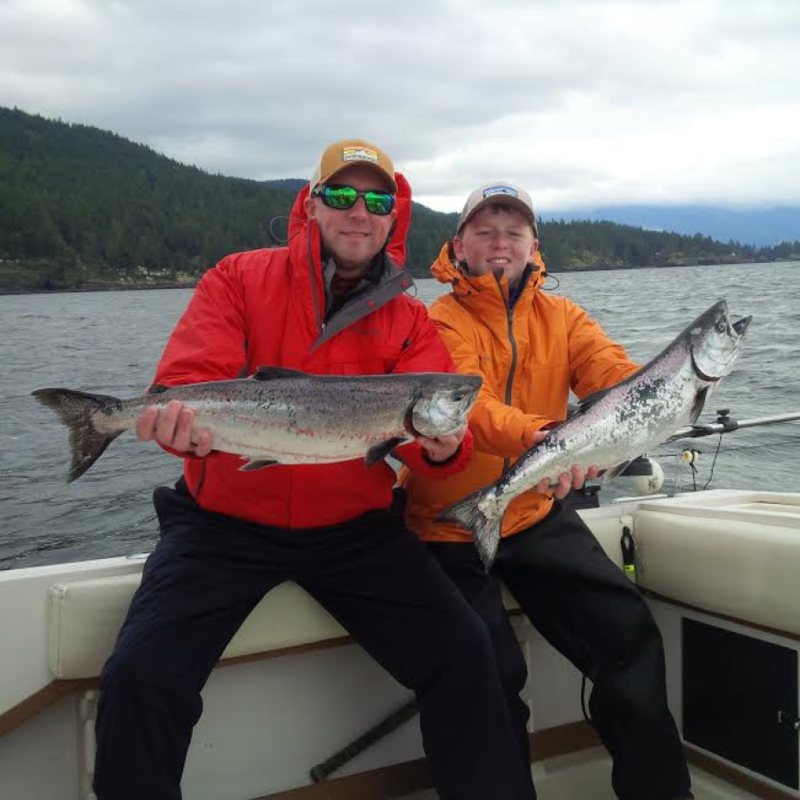 We have some opportunity to target coho and chum off of the south arm for another couple of weeks. 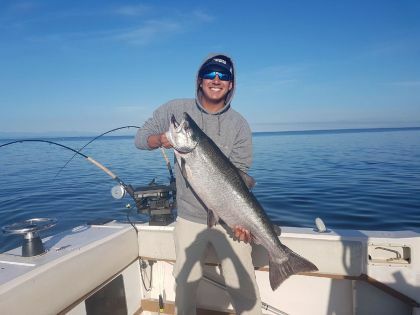 The coho we have seen this year has been sizably bigger than years past. 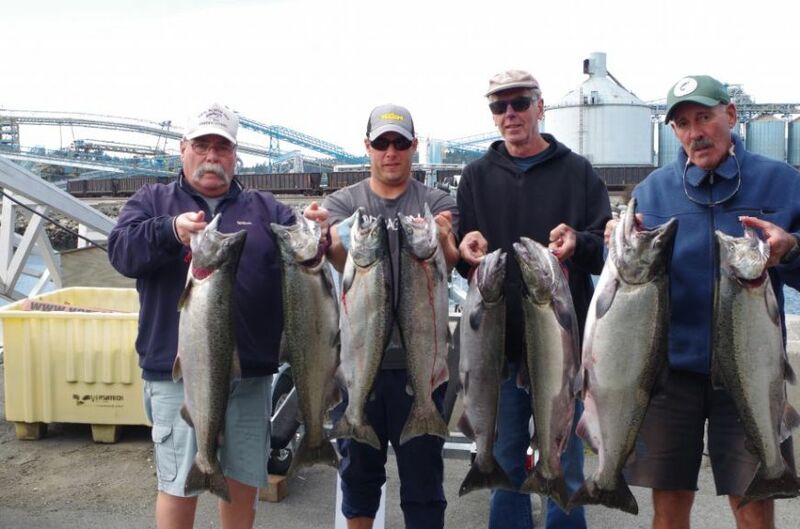 They are averaging 4-7 pounds with fish up to 15 pounds being caught. 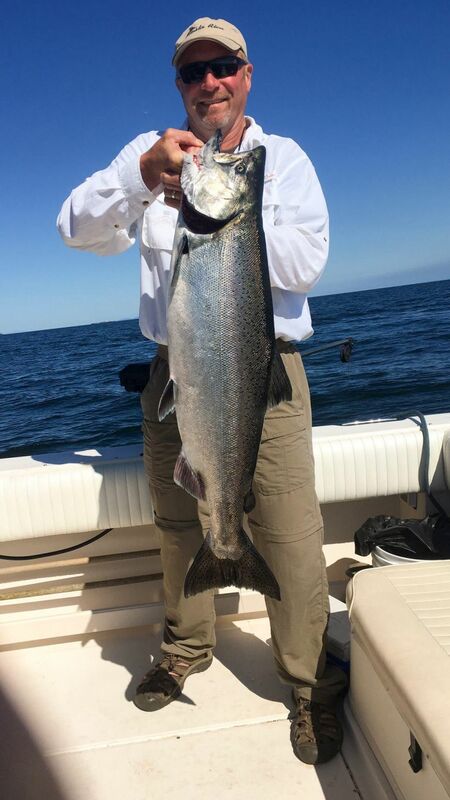 We should see a solid late run of coho which could be the biggest of the year. 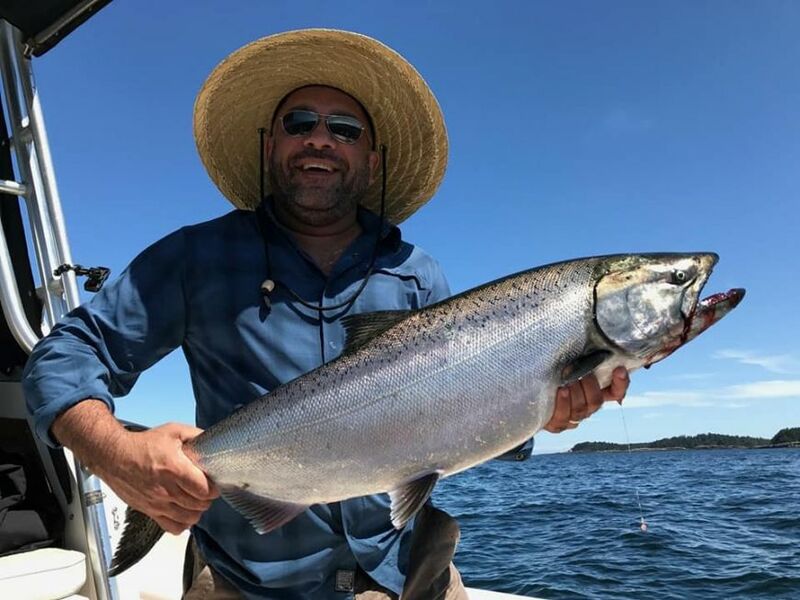 With the migratory season winding down we are starting to get excited for our winter fishery for chinook that starts to pick up steam in December. 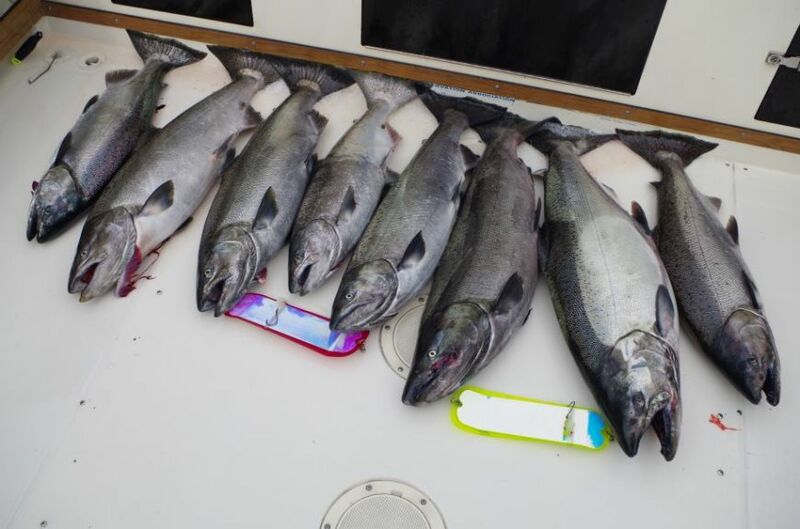 We have had a few great years of winter chinook fishing and we are hoping this year wont be any different. 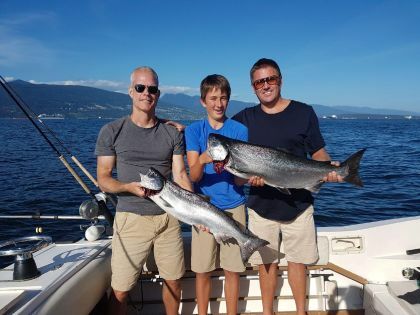 With the presencse of the anchovoes in the strait of Georgia and the expected big herring spawn happening in Howe Sound in the winter/spring, things are really shaping up to be another solid year of winter springs. Give us a call or email us to get out for our favorite fisheries of the year. The weather has been all over the place over the last month. 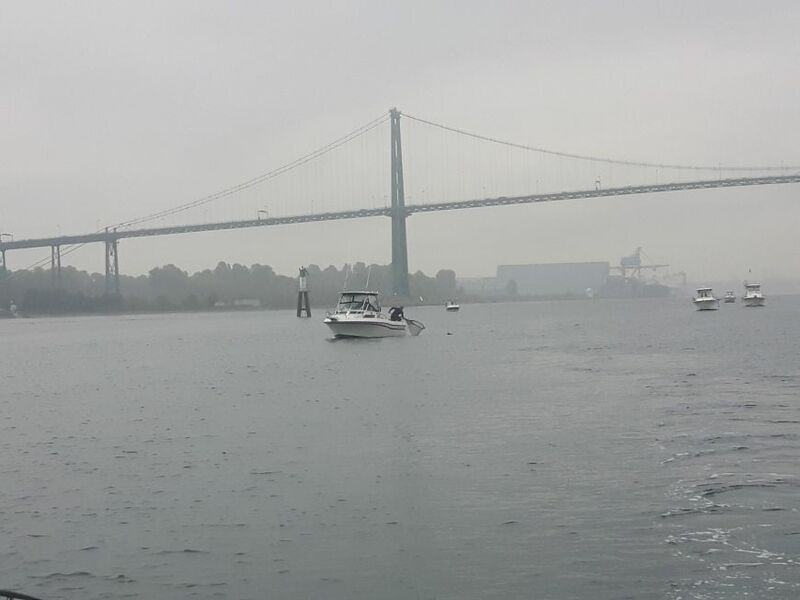 We have seen peak summer conditions followed by more fall like weather. It looks like we have a nice stretch of weather for the next couple of weeks. This bodes well for our sturgeon and salmon fisheries. 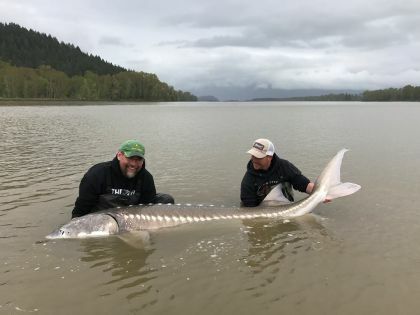 Sturgeon fishing is starting to heat up and salmon fishing has continued to be impressive for June. 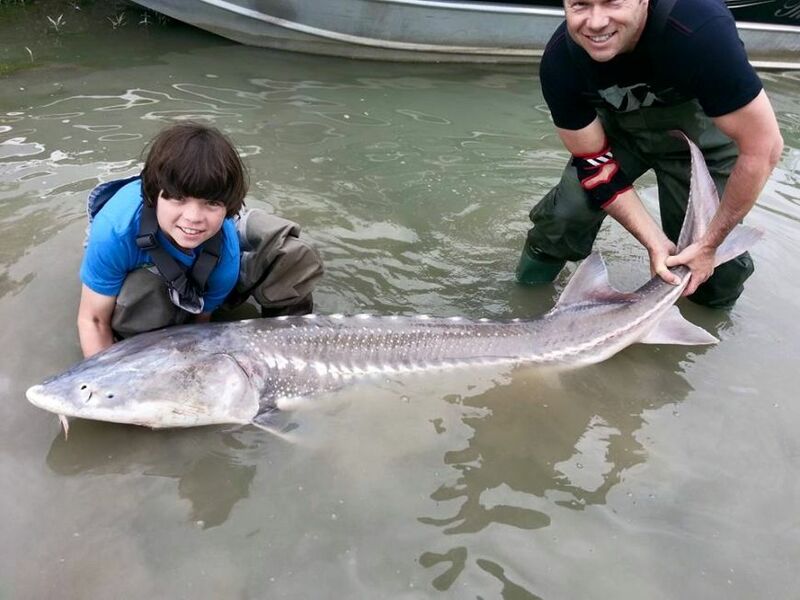 With summer here and July around the corner, sturgeon fishing has already started to pick up. 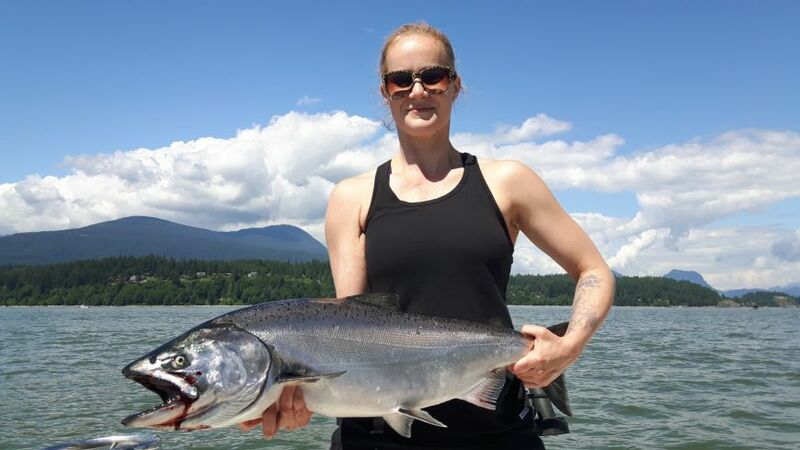 Typically summer months on the Fraser River are pretty consistent with good numbers and some quality fish. 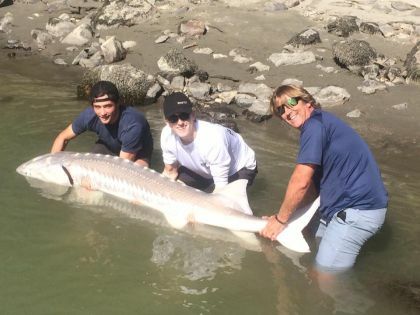 The average size fish is in the 4-6’ range and on the Fraser, there is always a chance at an 8-10 footer. We are hooking 5-12 fish on our 8 hour days. All of the standard baits work well and the later into the summer we get, the more we use salmon and salmon parts. 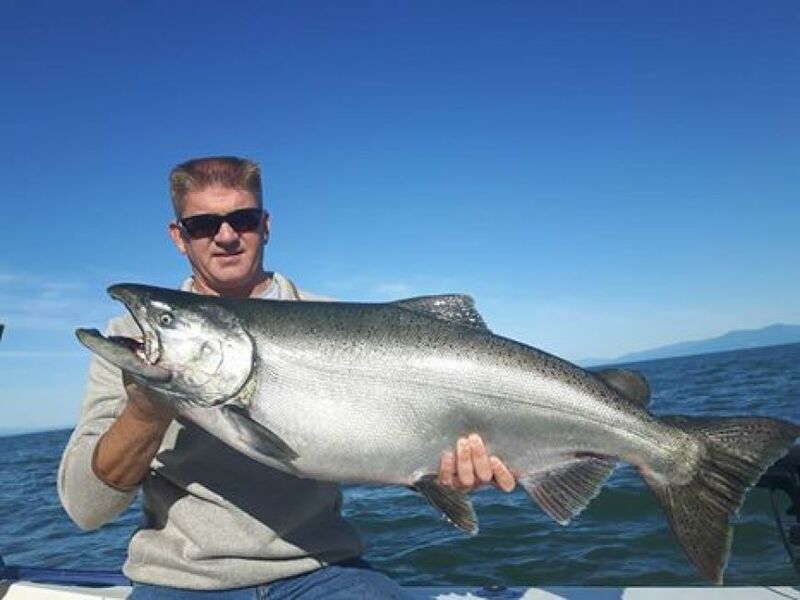 This is a great time of year to get out and enjoy just how unique of a fishery we have on the Fraser. Give us a call to get you on the water. 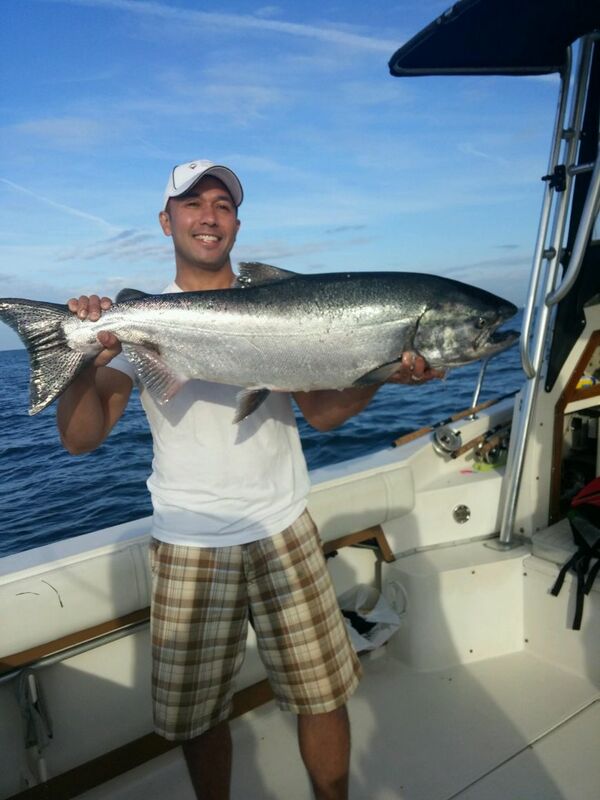 Salmon fishing has been solid for the month of June. 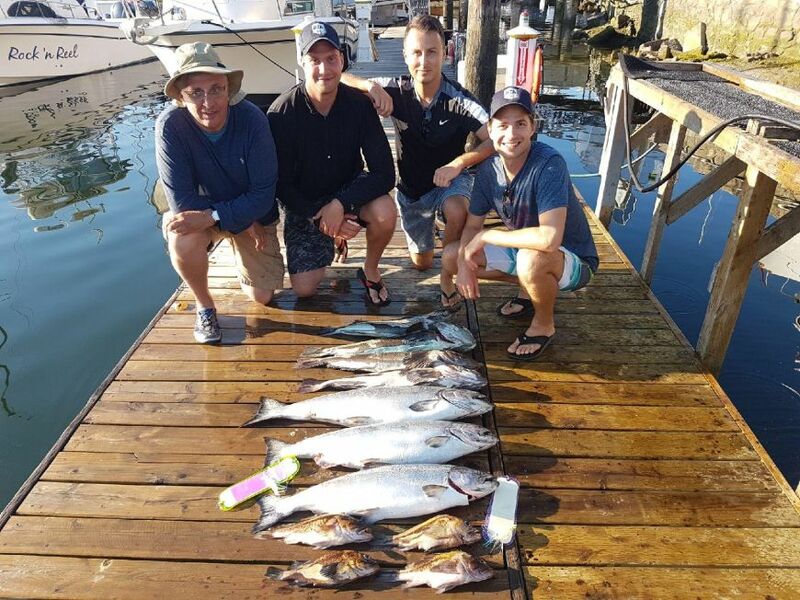 Typically things become a little more hit or miss on the Vancouver side of the Strait however this year we have seen an abundance of bait which has kept anglers busy. We have been spending most of our time in Howe Sound and locally. We have been running lots of spoons and hootchies behind Gibbs Delta Guide Series Flashers(Bon Chovy, Lemon Lime & STS). 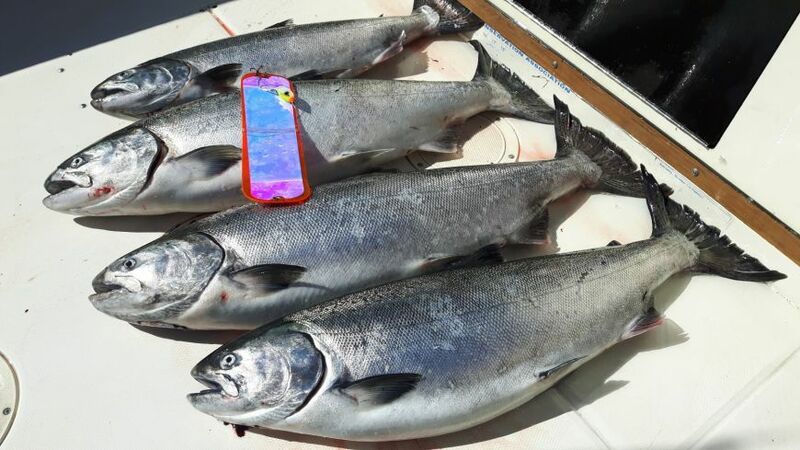 Most of these chinooks are in the 8-20 pound range but there has been some fish in the high twenties brought back to the docks. Fishing should continue to stay good locally as long as the bait sticks around. 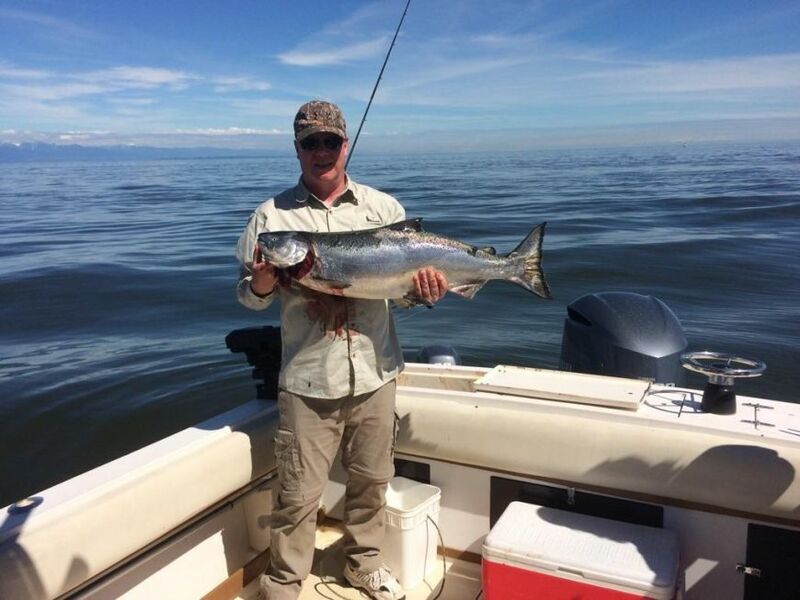 We are about a week away from our Coho Capilano fishery. Give us a shout or come by the shop to get geared up for this unique fishery.